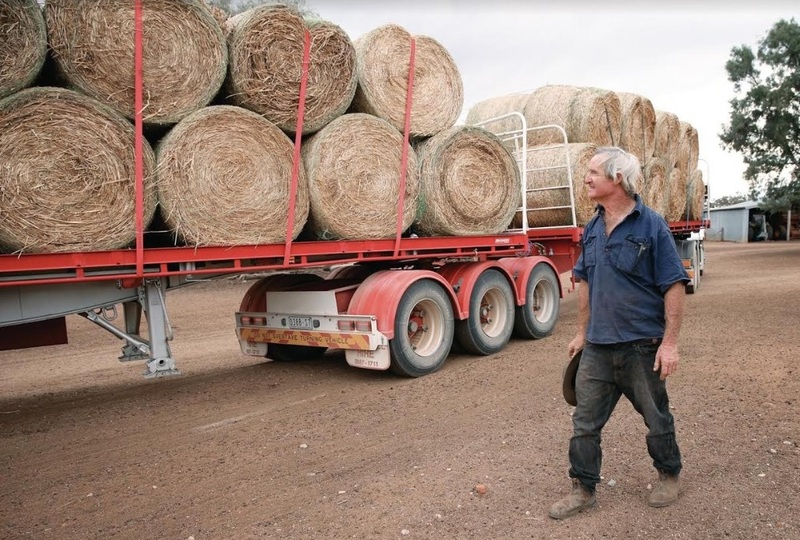 The Victorian Government has extended the road train network in the state’s Wimmera region for the transport of hay and grain to drought-affected areas of NSW and Queensland. The NSW Government’s drought transport integrity adviser Derek Schoen said he expected there would be a corresponding decrease in freight costs with the extension. Before the network extension road train operators had to decouple additional trailers at the NSW-Victorian border, drive them to the hay/grain pick-up location for loading and then back for recoupling. Victorian Farmers Federation (VFF) Grains Group president Ross Johns the extension could reduce freight costs by 20-25 per cent. Mr Johns said the VFF and its members had been calling out for measures to make it easier for hay and fodder to reach farmers in need. “VicRoads should be congratulated for listening and acting. This change will have a positive impact on many, both those transporting feed and those farmers urgently needing supplies,” he said. Mr Johns said the next step was to broaden the drought fodder road train extension to also include livestock and general transport with road trains. Click here to see the VicRoads map of the extended network, including permit application details, and the truck and load limit conditions for road trains.